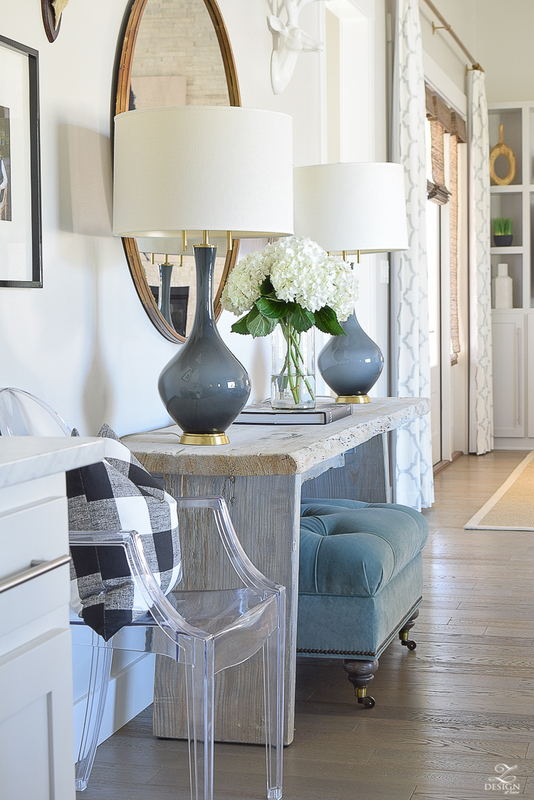 Several things can make your home feel lived in, cozy, and inviting. 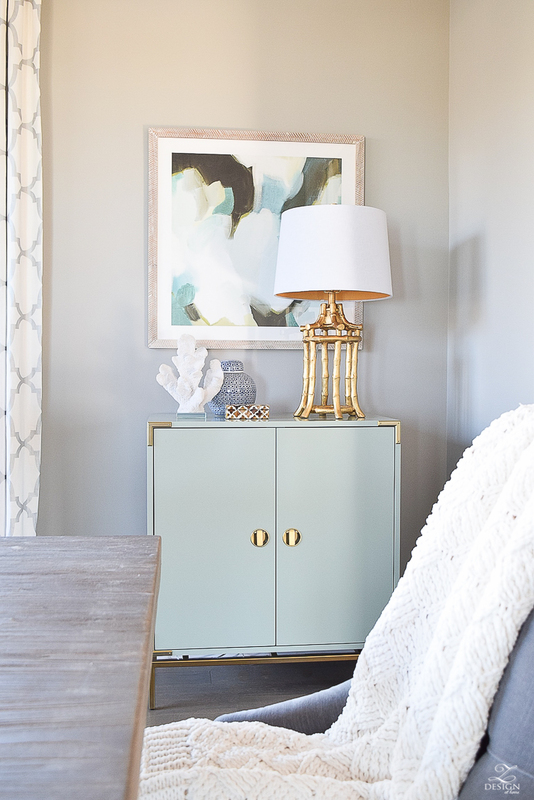 That lived in, collected over time feel is my favorite but there are some design ideas in particular that can bring the cozy factor into your home like no other. 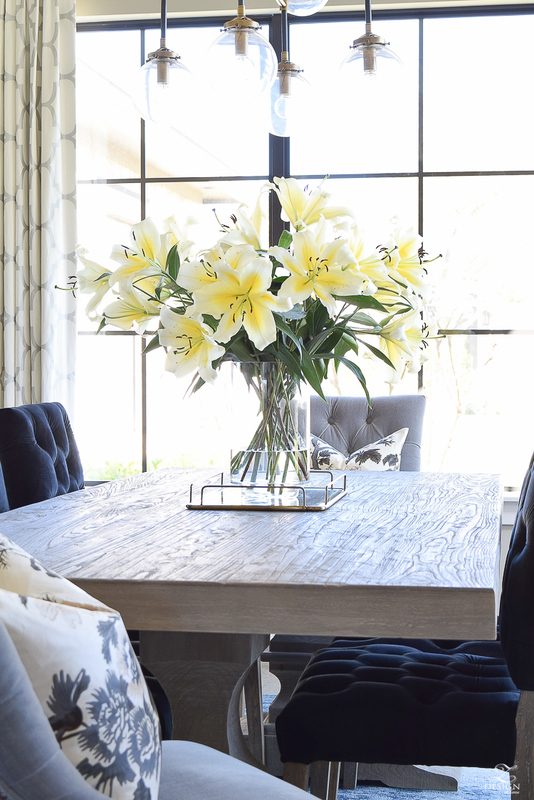 If you are doing some seasonal decorating, just purchased or built a new home, or just want to switch things up for a change, I hope you will enjoy and be able to put into practice my Top 5 Tips for Making Your Home Feel Cozy and Inviting!! Please let me know at the end of this post if you have any questions and I will be happy to answer them to the best of my ability. One of the first things I always do when we move is to start immediately working on window treatments for each room. Not only do they provide privacy and protection from the harsh sun coming in, but they can instantly (like nothing else in my opinion) make your home feel warm and inviting. 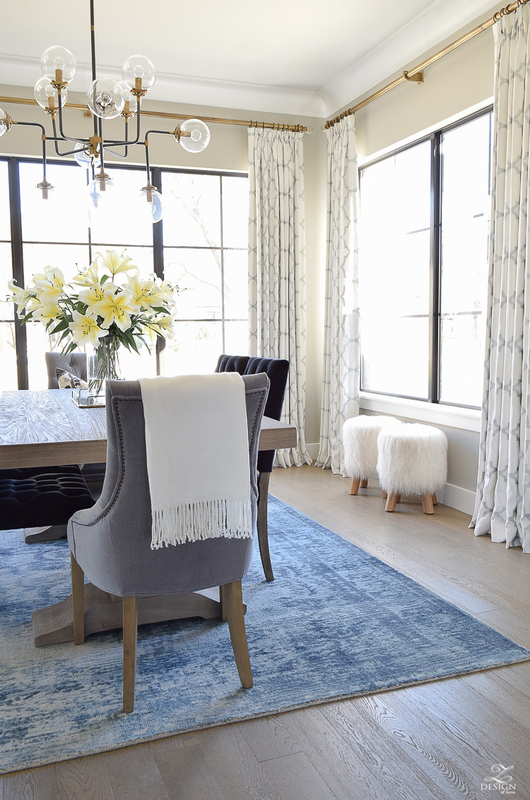 You can opt to have them custom made like I talk about HERE in a post all about how to design custom window treatments for your home or, you can opt for some of the many, beautiful and high quality over the counter options out there now a days. 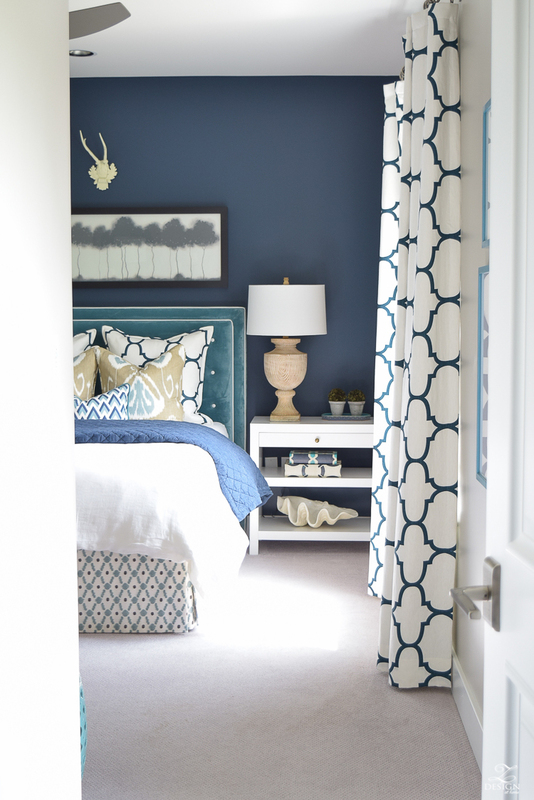 Either way, window treatments in your home are always #1 on my list! 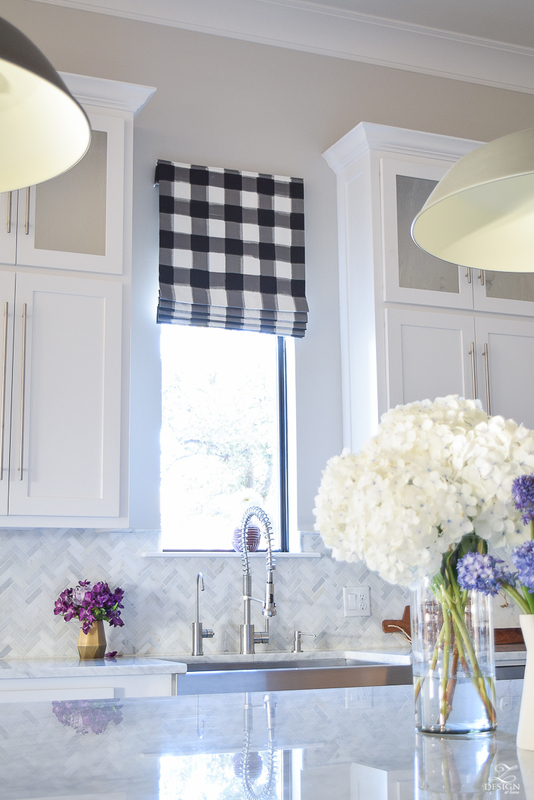 A faux roman shade is perfect in the kitchen to add some color and softness. I have a full blog post HERE where I detail how to design a faux roman shade and what spaces they are best used in. You can find this one in particular here. 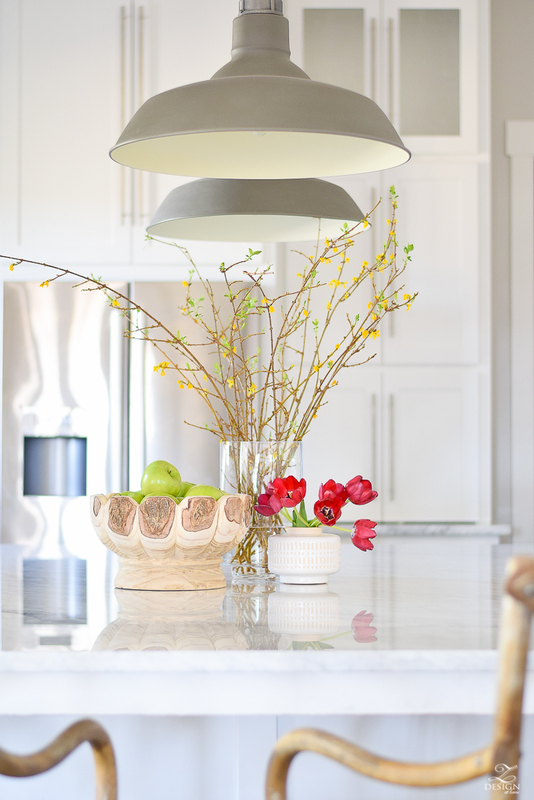 Good lighting is key in making your home feel warm and inviting. Not only does decorative lighting become a beautiful accessory for any space but when strategically placed throughout your home can make your home feel incredibly cozy and inviting, especially in the evening when the lamps are on to create beautiful ambient lighting. 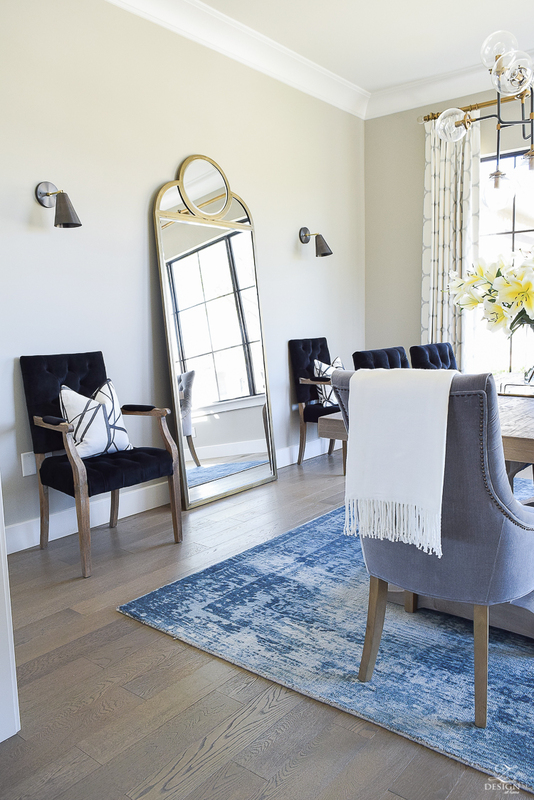 Mirrors play a big roll with lighting as well since they can help to cozy up a space with a beautiful reflection and help the light to bounce around the room. 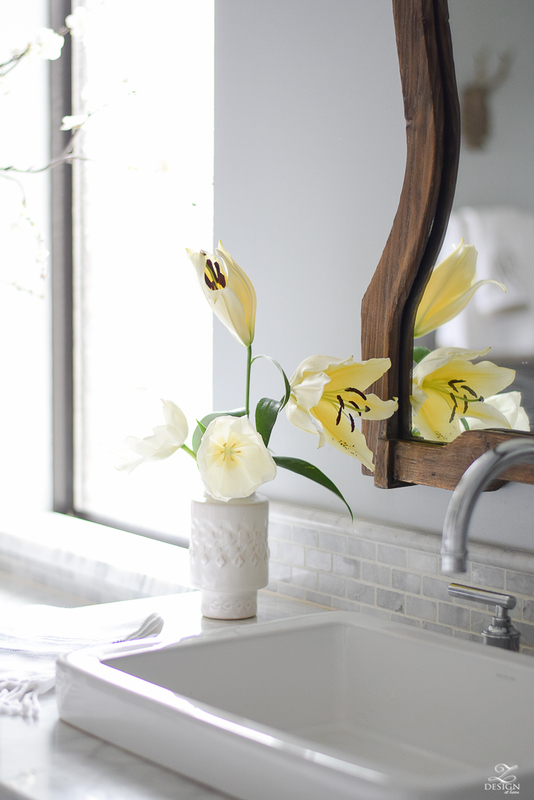 Additionally, a mirror hung in the right spot can help to open up a space that may otherwise feel cramped, which can make your home feel inviting as well. The silhouette of these lamps make for a beautiful accessory but when turned on at night also add some much needed ambient lighting to this area of the home. The pop of gold added here with the lamp makes this little corner come to life, especially when the lamp is illuminated in the evening. 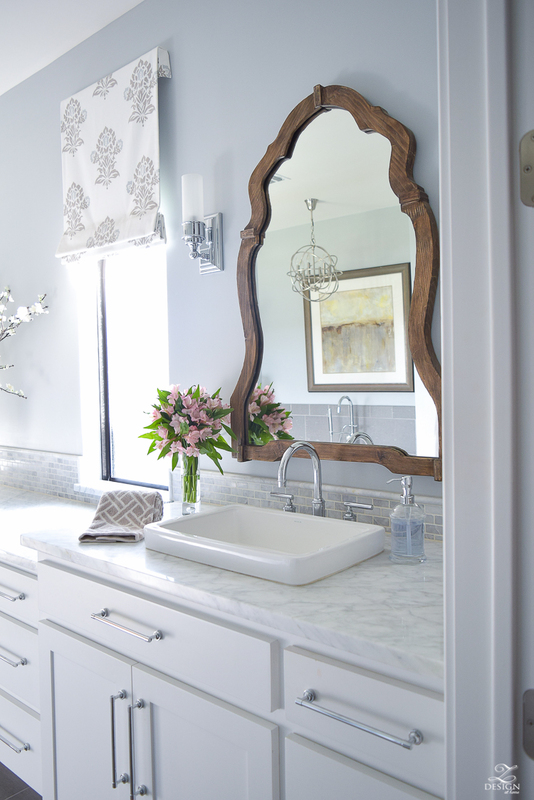 The reflection in the mirror of the outdoors really warms this space up with the use of a large floor mirror (similar here & here). The reflection again here in the mirror (similar) plays a huge role in making this space feel cozy. The lamp (similar) is also colorful, functional, and practical. 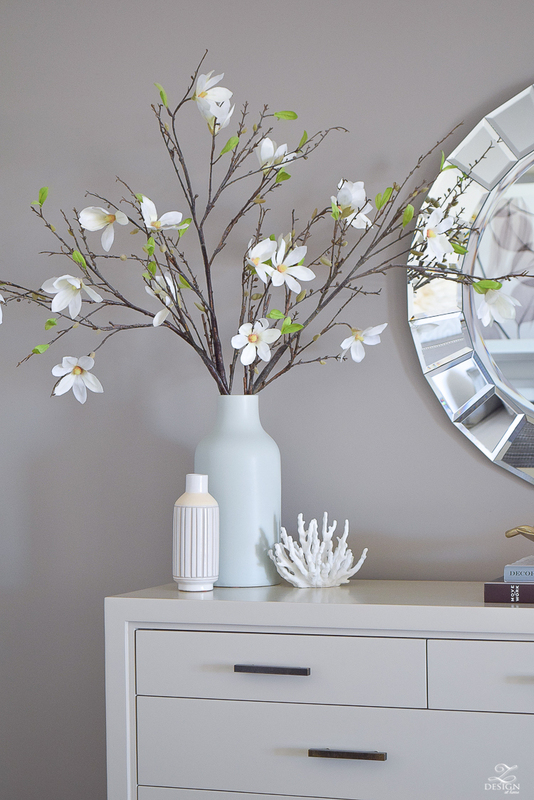 This faceted mirror makes the room sparkle and the reflection of art on the other side of the room incorporates such a pretty view in to the space making for a super cozy master suite. 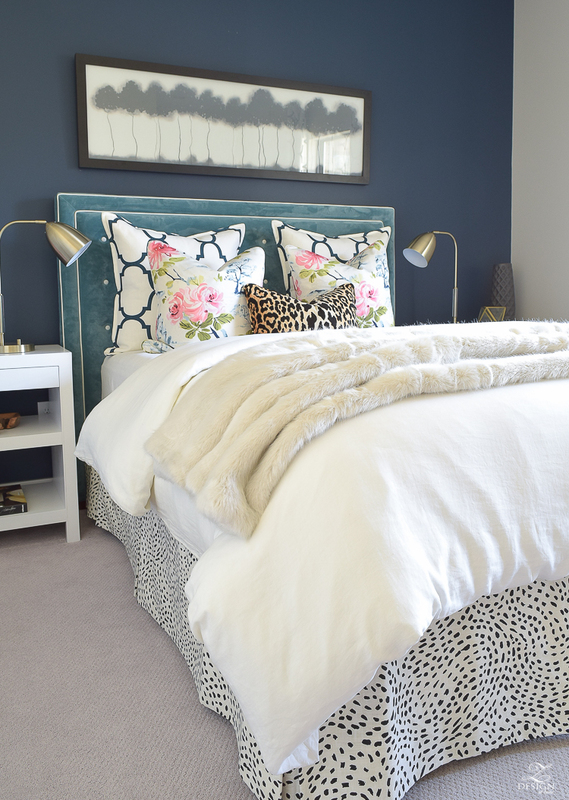 Lamps on the bedside table are a must for function and aesthetics (similar here). So many times I see homes that have no art what so ever however, I think this can be a huge missed opportunity to bring some character and coziness into the home. 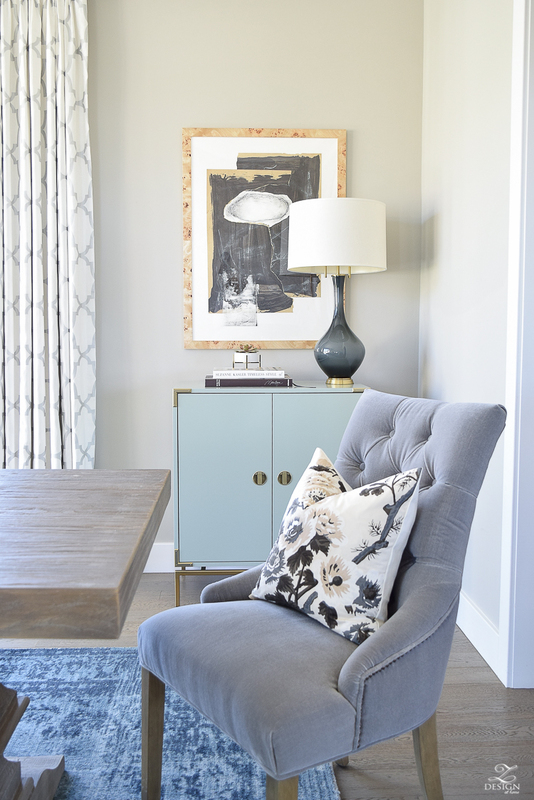 If you aren’t comfortable hanging art in your home I highly suggest stepping out of your comfort zone on this one as this design element can make your home feel inviting since it always tells a story. 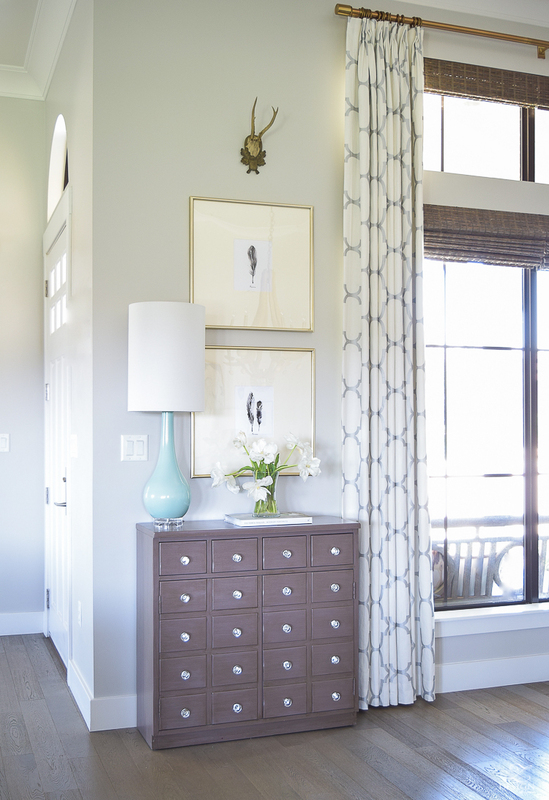 Art can also add character, color, and charm to a space! Since art is a very personal choice and should speak to your soul before you hang it on your wall, look for pieces that speak to you and that resonate with you and your lifestyle. 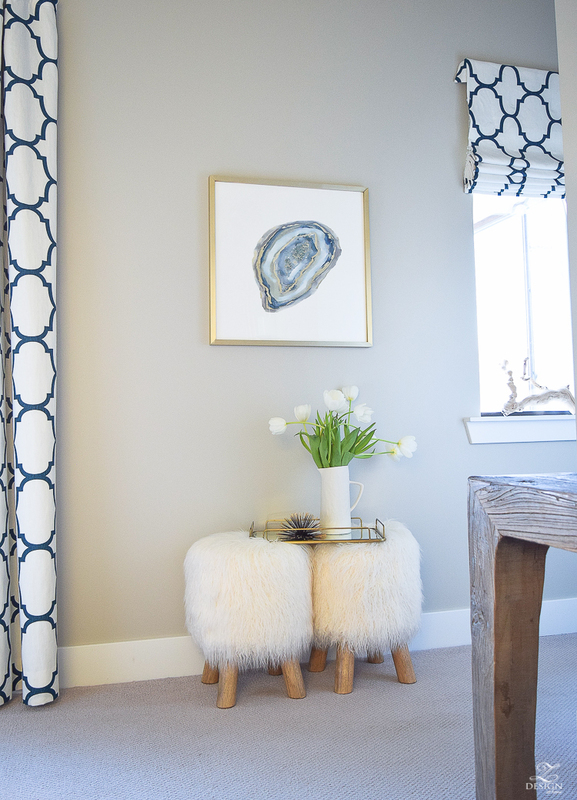 If you are afraid of how and where to hang art, I have a full blog post HERE with simple tips for hanging art to make this task a little less scary. 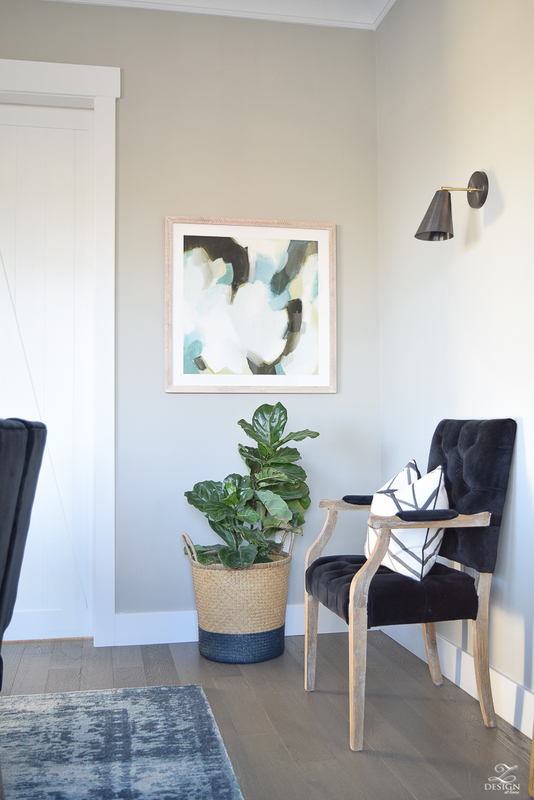 In this spot the art and the lamp provide color and character for this sliver of wall, but both pack a big punch at the same time to make this spot by the front door inviting to guests. This beautiful burl wood frame or any frame via this link is 15% off with code ZDesign until May 31st…don’t miss it if you are working on a art project in or around your home. 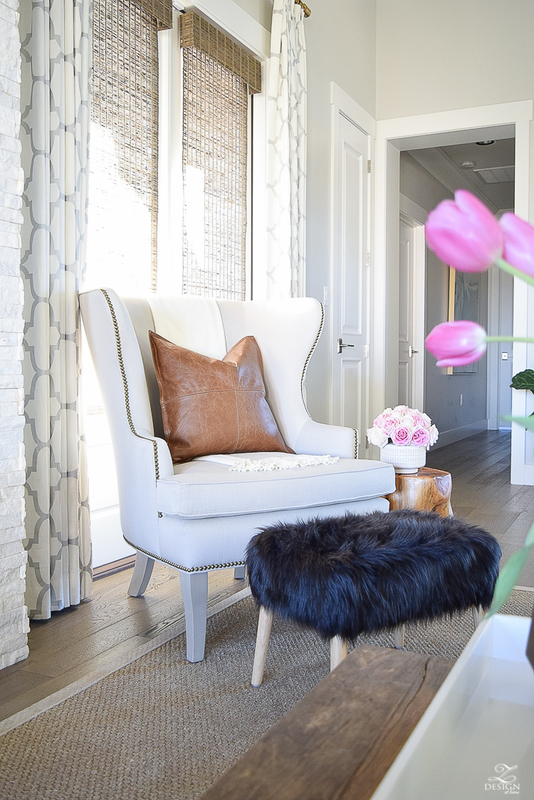 Whether this is done through rugs, throws, pillow fabrics, accessories, or other home decor items this is one of the most important things you can do to make your home feel cozy and inviting! 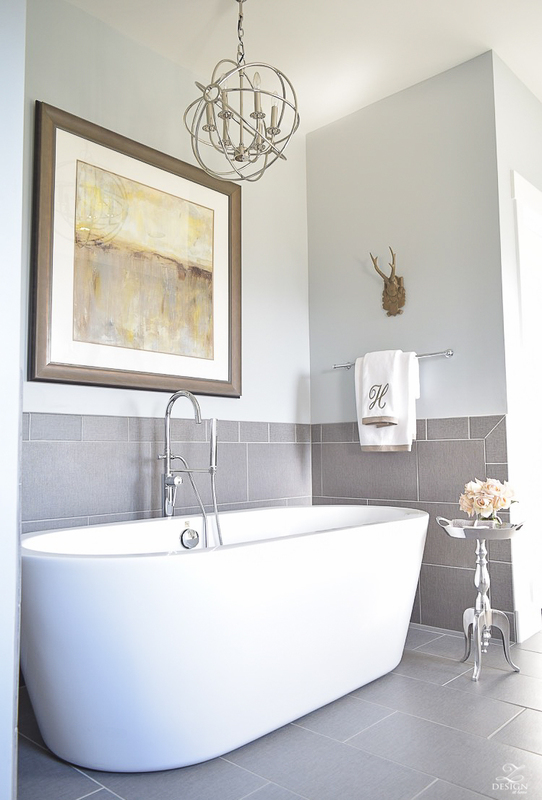 A home without at least one of these elements will feel cold and uninviting so even if you are a minimalist, a few thoughtfully placed items that incorporate these ideas can make your home feel fabulous! 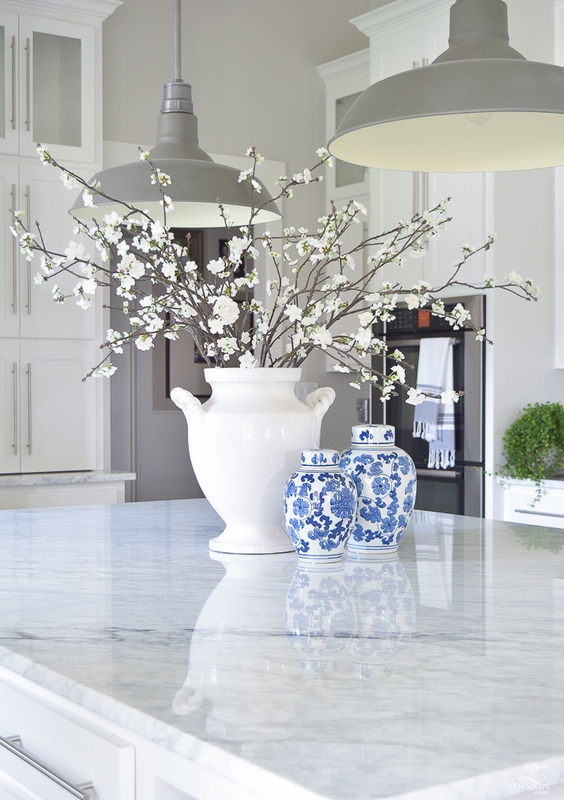 The colorful, patterned vases add a pop of both to the kitchen island. 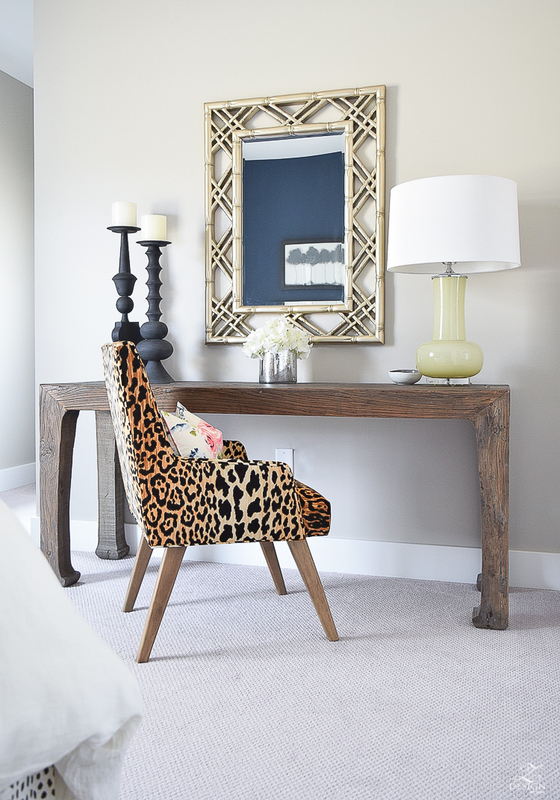 The leopard patterned fabric on the chair in this home office makes this nook in the guest room come to life! 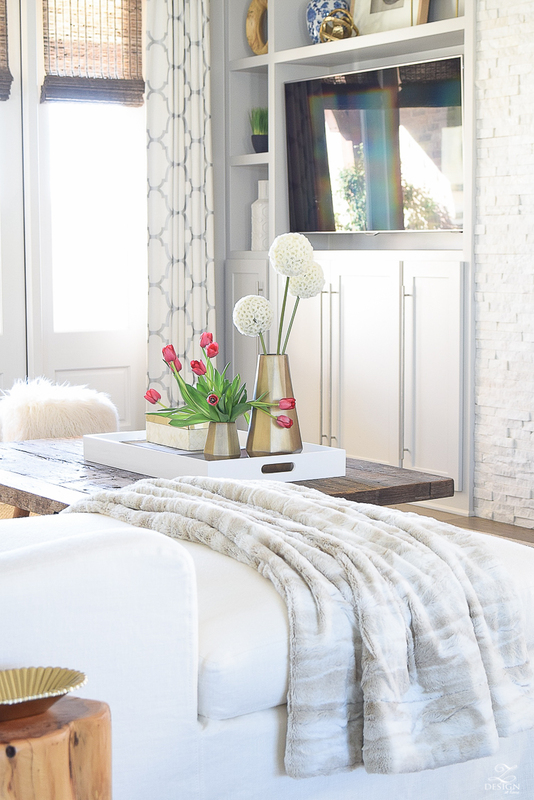 The cowhide rug here adds an unexpected interest that grounds this space making it feel more inviting. This rug also grounds the space and adds a pop of color (and texture) to a room that would have otherwise been super neutral without it. 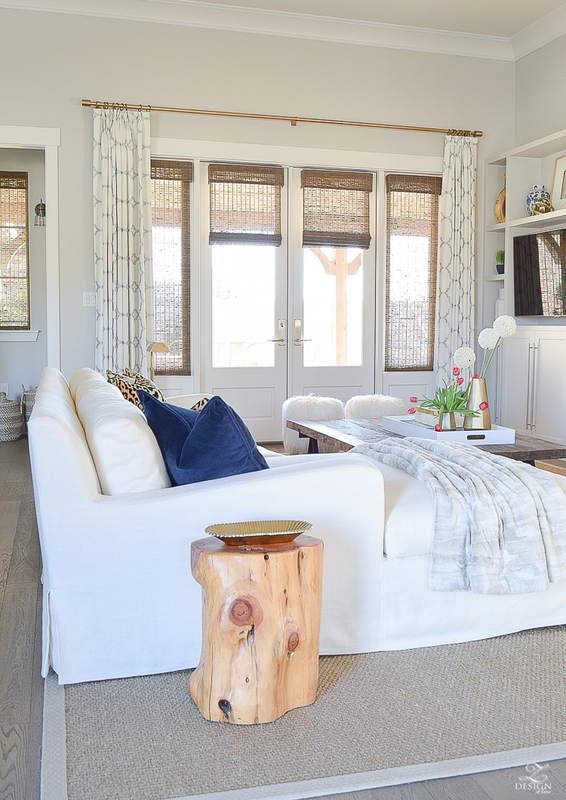 The pattern on the drapes lifts your eye up and adds interest and major cozy factor to this room. 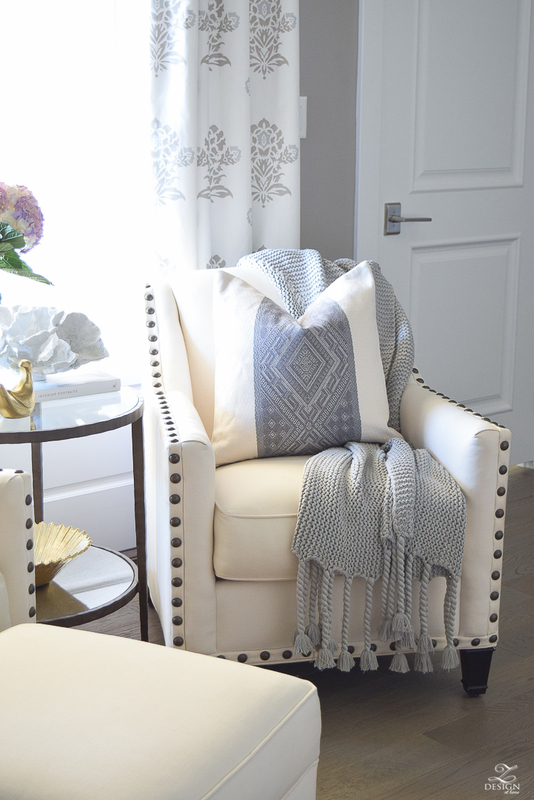 Adding a fringy, textured throw (similar here) to a chair like this one makes this spot so much more inviting (similar chair here). 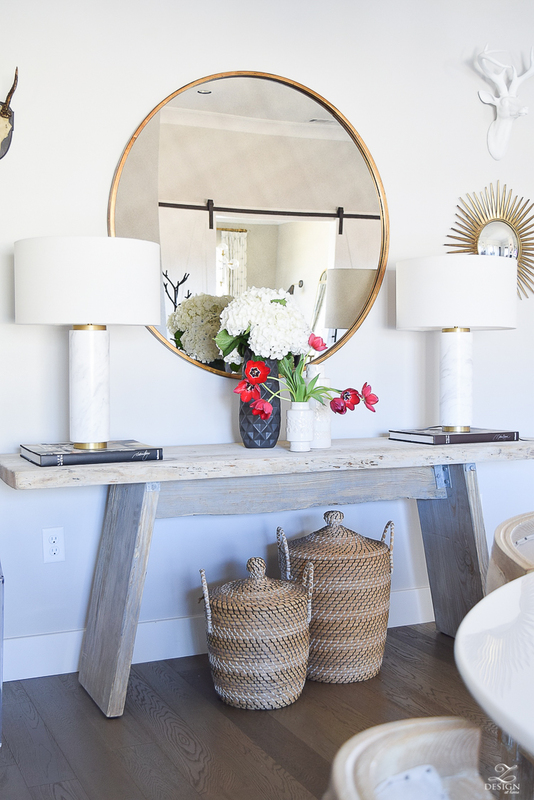 Adding baskets under the console table add texture and pattern to amp up the style factor in this spot! 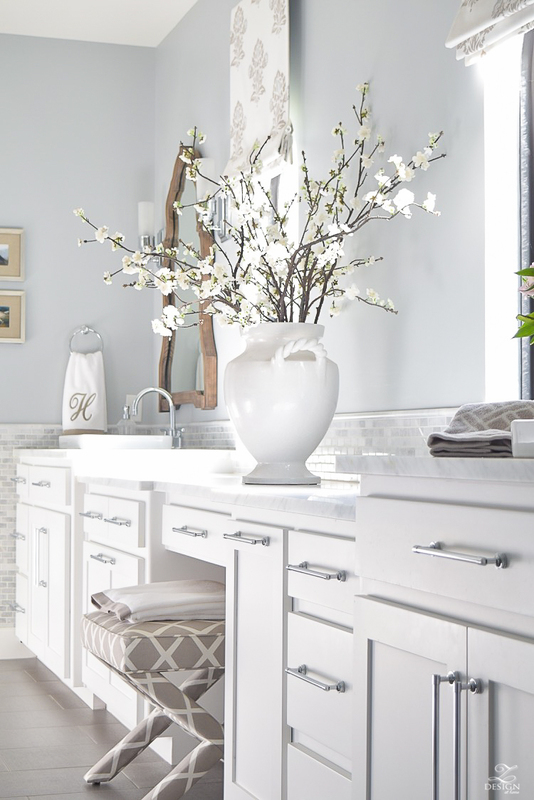 The baskets also create interest and as a pair make for an inviting vignette. I went for the longest time without using fresh or faux flowers in my designs and couldn’t regret that more! 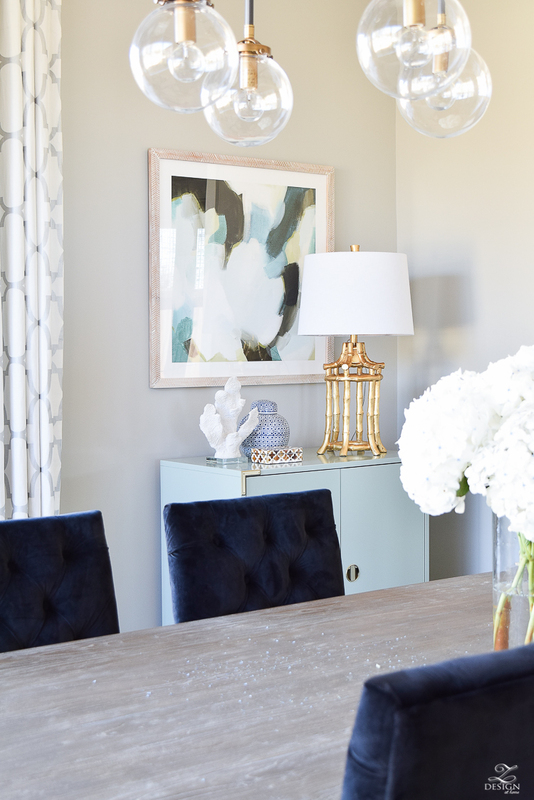 I used to feel like faux plants and flowers just looked fake and cheapened my designs but once I was finally introduced to some good quality faux pieces, I fell in love with the warmth they brought to my home. 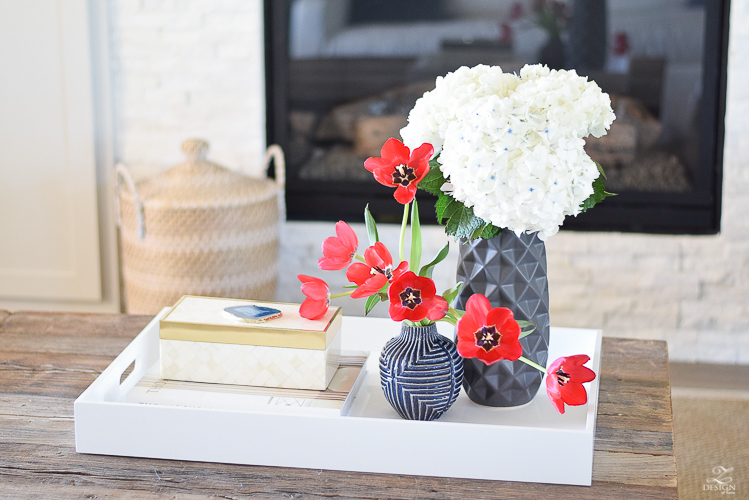 Additionally, mixing fresh and faux or just simply making room in your budget to pick up fresh blooms once per week can make your island, coffee table, or that lonely corner in the room come to life! I have a full post on How To Keep Your Hydrangeas Happy for Weeks HERE if you need help with keeping your fresh flowers alive for an extended period of time. 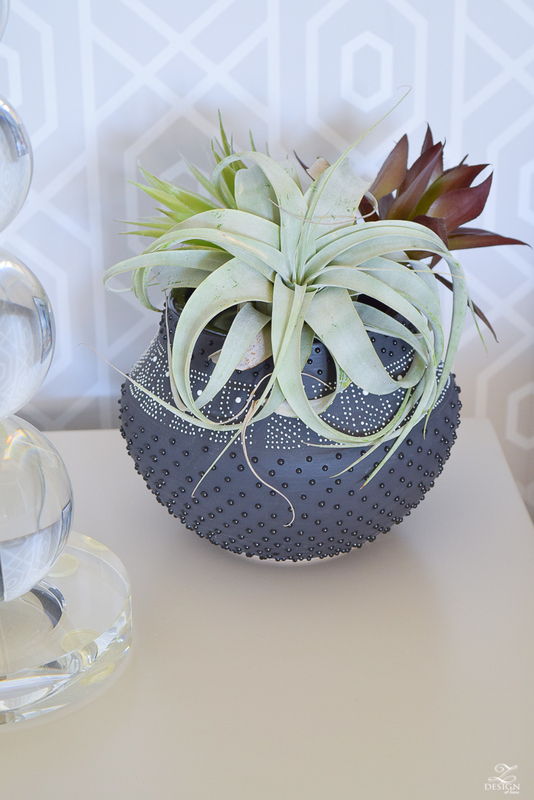 Succulents are also a great way to have nature around but in a low maintenance kind of way. 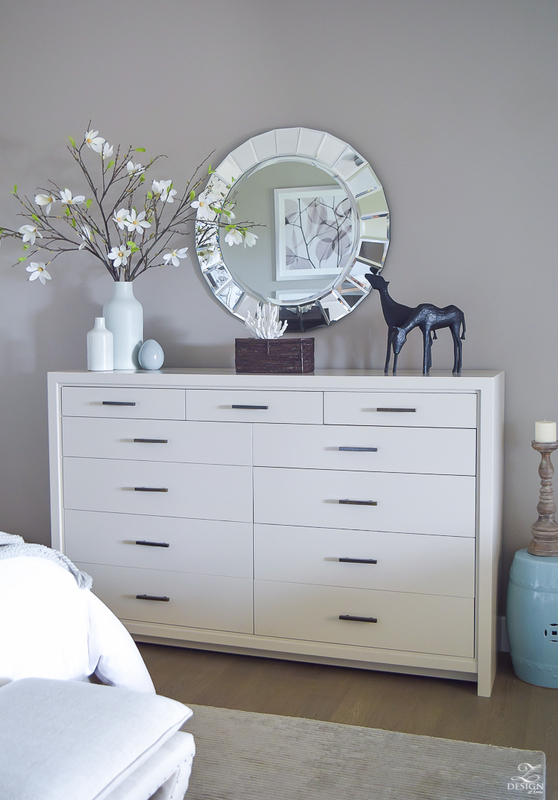 These faux beauties (similar here) have been with me for years and are perfect to add some height to this side of the dresser. 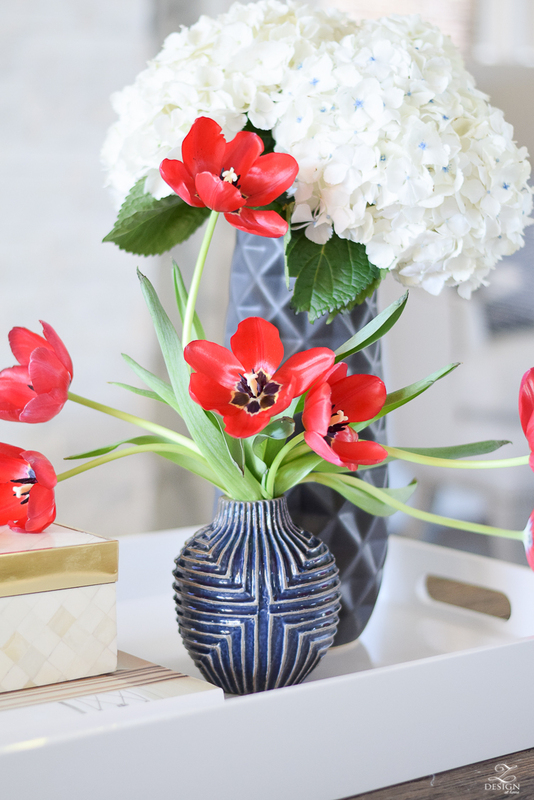 This time of year tulips are always on my coffee table to add a pop of color and whimsy, and to make this space even more inviting! 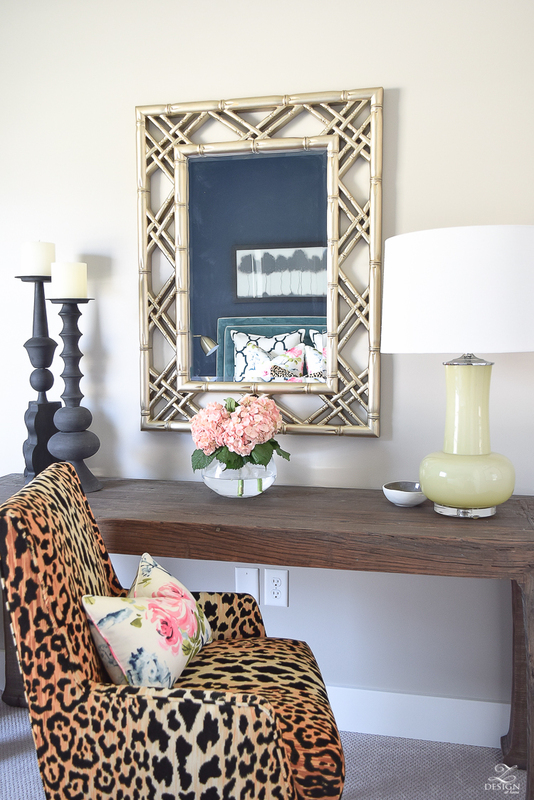 A fun mix of fresh and faux here in my favorite brass faceted vases. And a fiddle leaf fig (faux option here) in the corner to add some color to this lonely spot. Some colorful branches picked from a local bush. These are always the best kind! 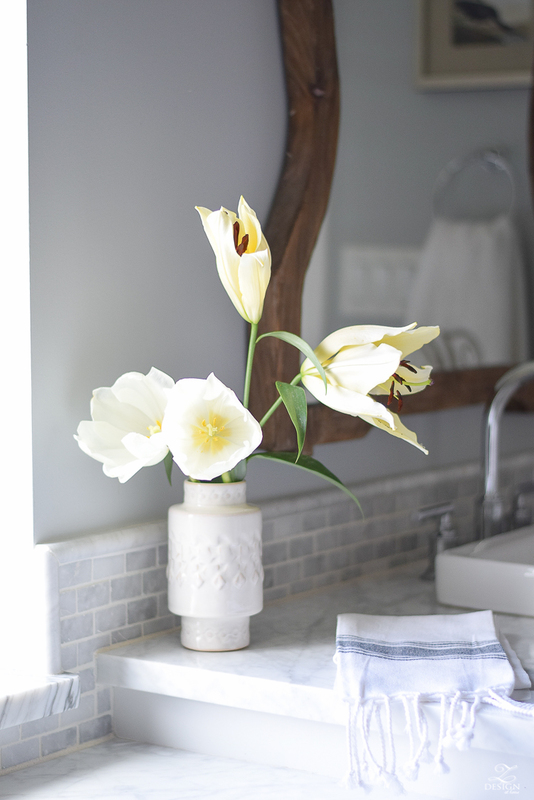 I usually keep flowers on my vanity in a favorite vase. This makes getting ready in the morning much easier and puts a smile on my face each time I pass by this spot! 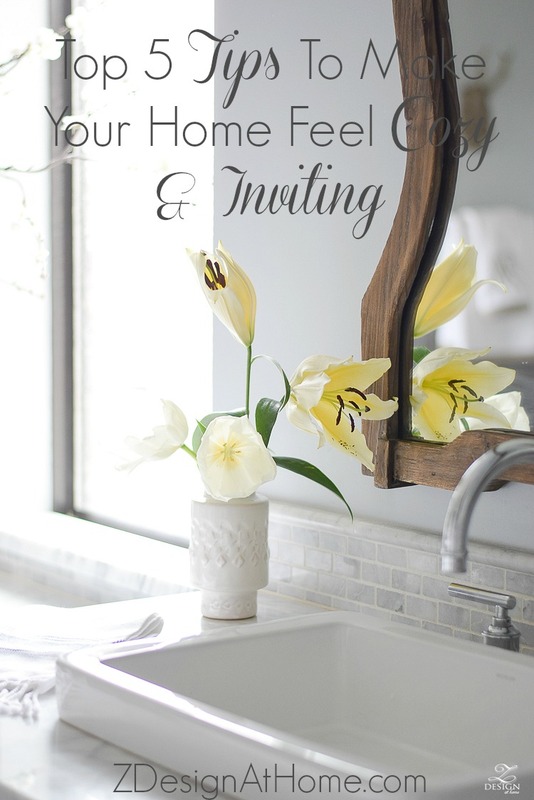 I hope you enjoyed this post on 5 Tips For Making Your Home Feel Cozy and Inviting! 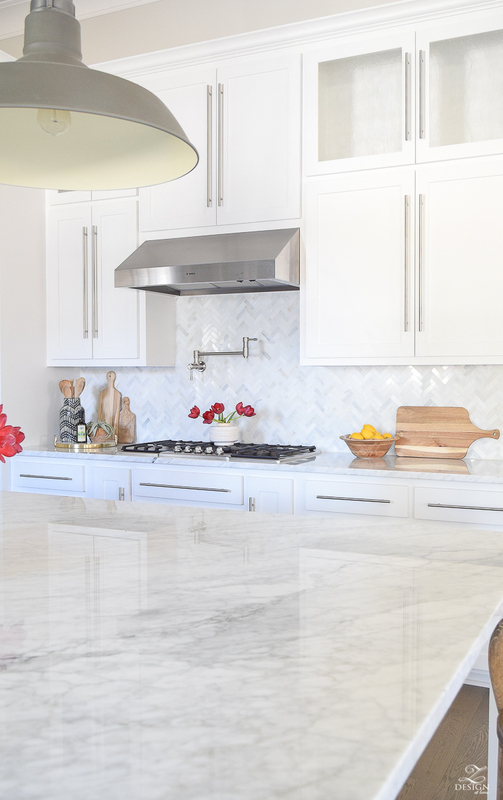 There are many more things that you can do to achieve a cozy home but I think if you try to incorporate at least these 5 things, your home will feel fabulous and will be a place you and your family will love to call home. 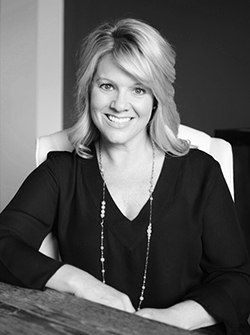 Please leave any comments or questions you might have in the comments section below…I always love hearing from you and answering your questions!! « Give me all the Tassels & Fringe!! 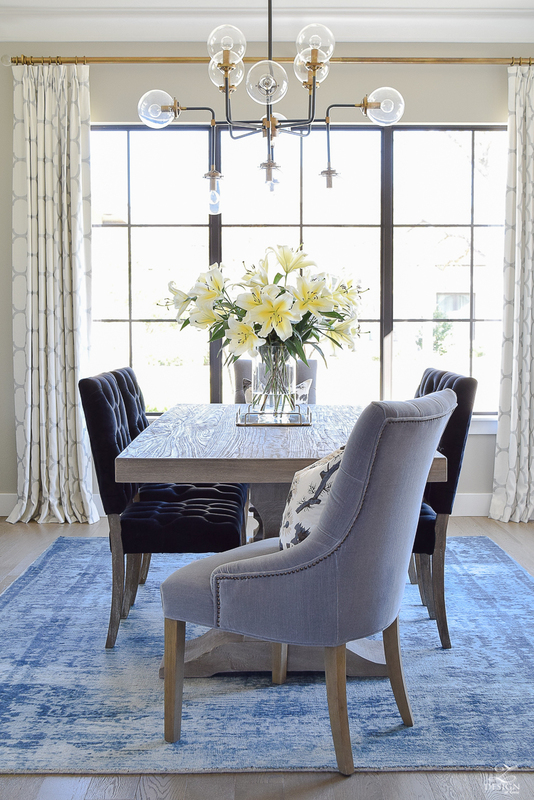 I love the light over your dining room table and I’m planning to purchase it for my home. 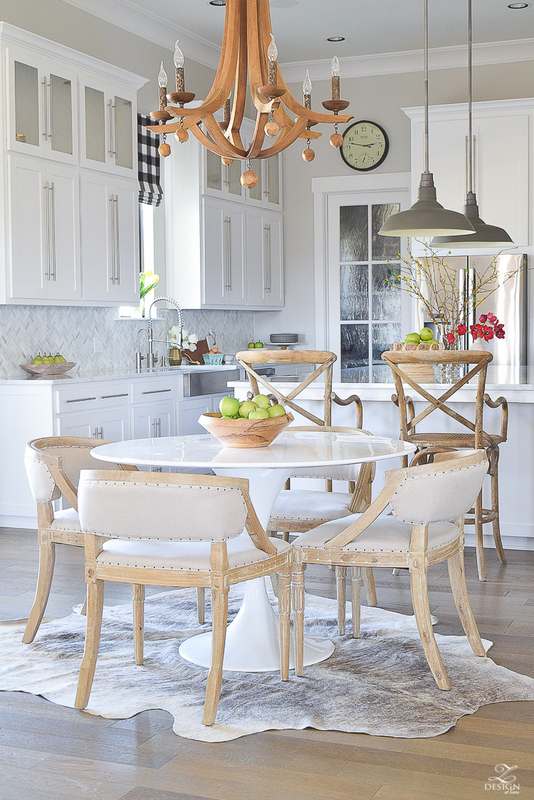 How high is the light hung above your table? 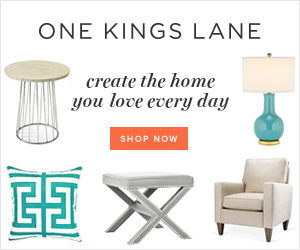 From the table to the bottom of the light fixture? Trying to figure it out, I like how you have a big flower arrangement in the center and still have a few inches above it before the bottom of the light bulb. Bree your home is so gorgeous and you have done such a wonderful job designing it. You have the perfect amount of decor in each room and I would move in today lol! I think your home is beautiful, and I love all the vignettes you’ve created. 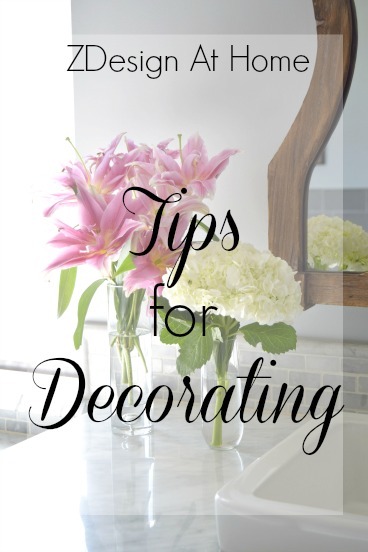 Every tip you mentioned really spoke to my heart as they’re the things I try to use in my home, too. I’d like to ask your opinion on opening and closing curtains, especially on wide windows. We have really wide windows, and I bought double wide curtain panels, but now I’m wondering if I should leave the panels stationary and have shades to use for privacy. Your home looks lovely, sunny, breezy and inviting and I’m sure that photo frames with your family pics complete your beautiful ensemble. 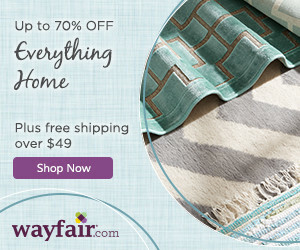 Out of those five suggestions window treatments, rugs, and art also happen to be on my list of must haves. 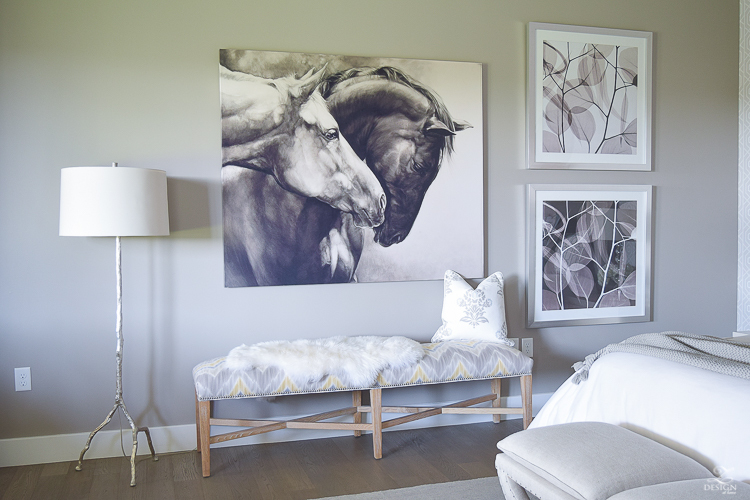 Art and rugs are SO personal and in my opinion they should reflect the owner’s personality. Unfortunately though, I had clients who chose art and rugs based on what they believed would impress other people in a big way :(. The trouble with that is that the outcome is just a showcase of a lifeless style!